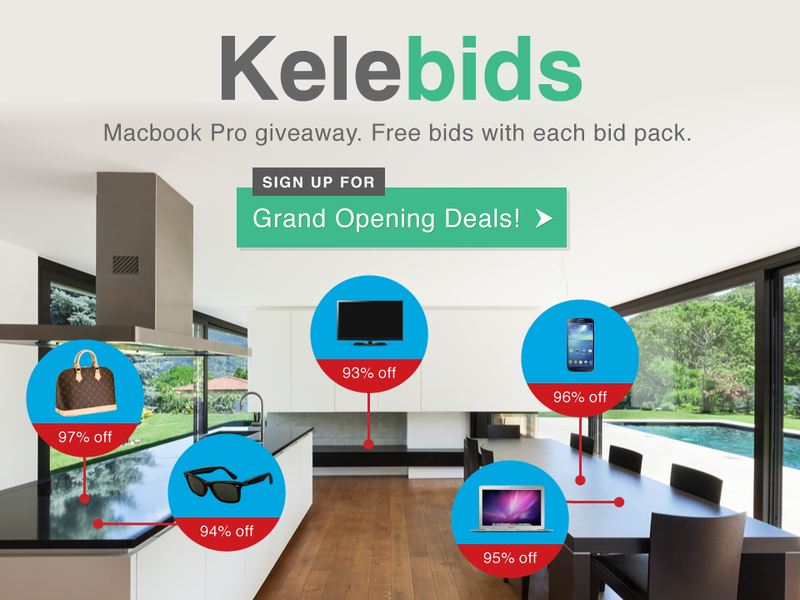 Kelebids is a online, penny auction website with five-star customer service and high quality products. 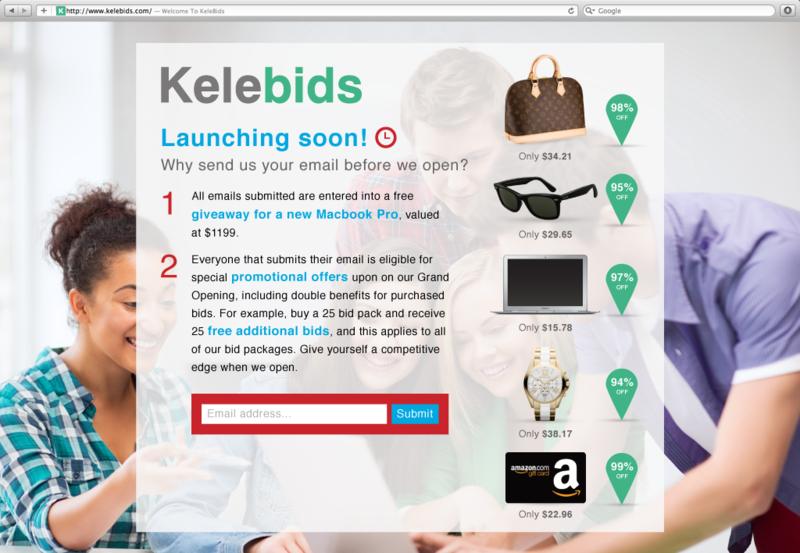 Unlike Kelebids’ competitors, create modern, friendly designs to attract female subscribers and grow their business. 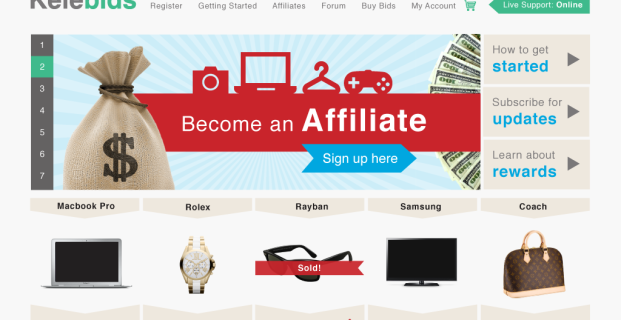 Using an upbeat and lively color palette as well as flat icons, I created corresponding collateral that set Kelebids apart. 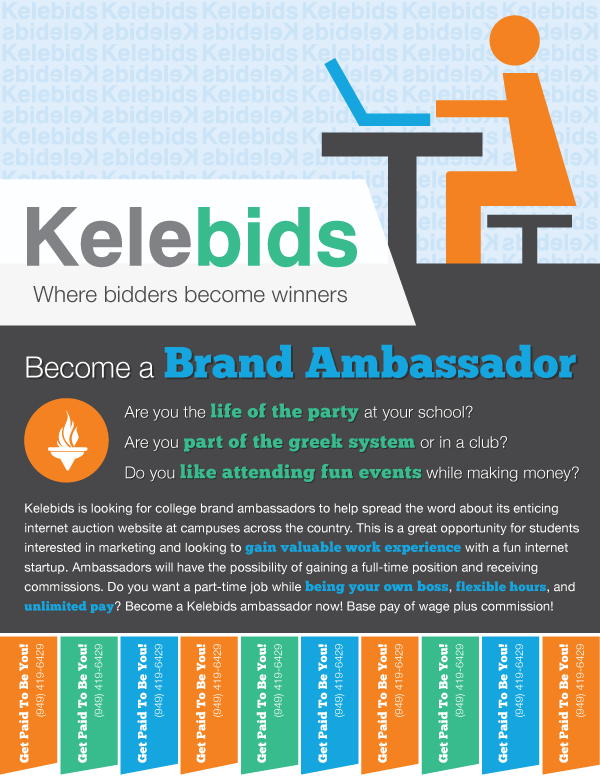 The set of marketing materials helped visually communicate the value of Kelebids.